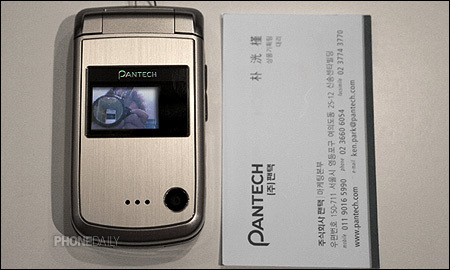 The Pantech PG 3810 is exactly the Pantech G3800 we have mentioned earlier. The phone have been approved by the FCC which means it will be available in the US soon. Now we’ve got more details about the phone. More info after the break. Dual clamshell 262,000 TFT LCD both internal and external. GSM 850 and PCS 1900 networks in North America and South America where these networks are supported.